Your One-Stop Solution for Metal Fabrication! Your Premier Partner for Sheet Metal Fabrication! A Full Service Sheet Metal Fabrication Company! Continental Industries is a full service sheet metal fabrication company providing complete manufacturing solutions for your fabrication needs. 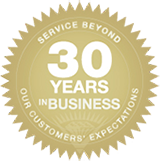 We have offered world class design, prototyping, engineering, and fabrication services to customers in Southern California for over three decades. Our 25,000 sq. foot facility has the capacity, equipment, systems to handle all your manufacturing needs. Our experienced team provides excellent support and manufactures to the highest quality standards to meet the specific requirements of our customers. We use cutting edge technology to provide innovative, value added manufacturing solutions to our customers. Call us today at (714) 632-9190 for a customized quote! Continental Industries strengthens it's market presence through new equipment investment. CI acquires AMADA LC-3015FI NT Laser Cutting Machine. Continental Industries is proud to announce the acquisition of an Amada FabriVISION Laser to its mfg. facility. Continental Industries is highlighted in the May 2016 edition of Design 2 Part magazine.